"I’m happy with it as a prototype, but I think it would need additional refinement before I started making these things for other people," Gray says. 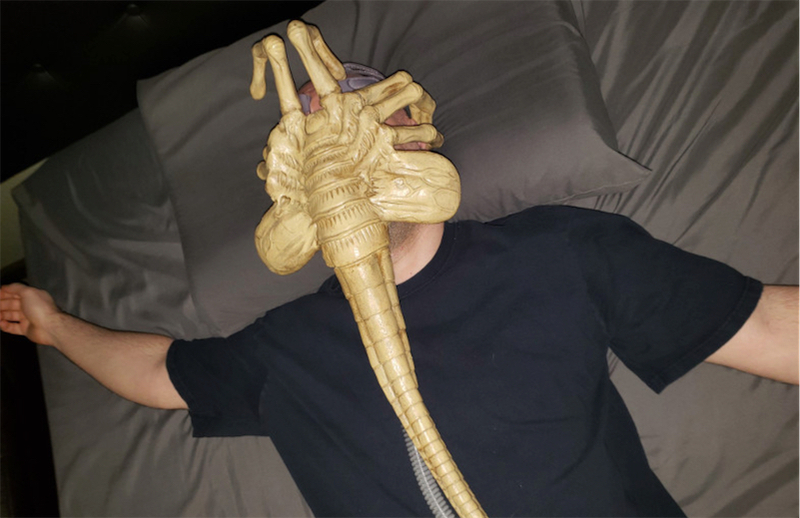 "Other than making it even less comfortable to lay on my side, it’s not all that much worse than just wearing the CPAP mask on its own. I could probably sleep with this thing on, at least for a couple hours. If nothing else, it helps keep the light out of my eyes."